I was both looking forward to and dreading this recipe. It uses the same dough as the blueberry peach gallette that I made last summer, and if my memory serves correctly, it was not a joy to work with, even though it was delicious. the butter gets ‘cut’ in (this job is so much easier with a pastry blender than with my warm hands) and an ice water/sour cream mixture gets blended into it to make the dough. I probably only used 1/2 of the liquid that the recipe called for. I divided the dough in half and put the two disks into the fridge to chill out for about 2 hours. Meanwhile, I roasted some tomatoes. 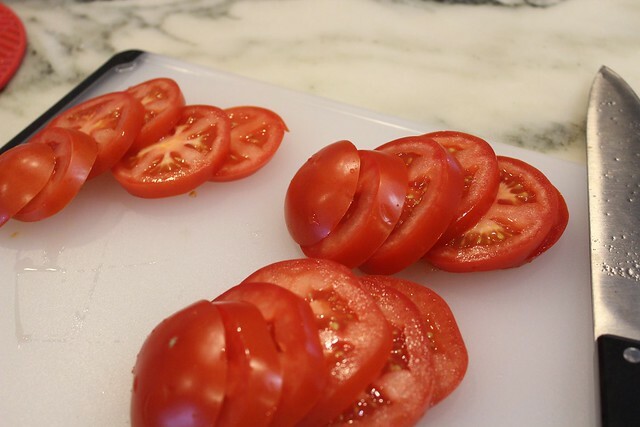 The recipe simply calls for sliced tomatoes, but I didn’t want my mediocre tomatoes to mess this up, and I knew that roasting them would bring more sweetenss and tomato-flavor to the party. So I sliced them and laid them on a parchment lined sheet pan, and sprinkled them with a bit of magic salt to add a little garlic and herb flavor. I roasted them for about 2 hours at 200 degrees. They came out of the oven perfect, still a little moist, but far from the watery mass that went into the oven. I’ve got to admit that this process was significantly easier than it was last year when I did this at my parents house. They’ve got a beautiful textured stone countertop. 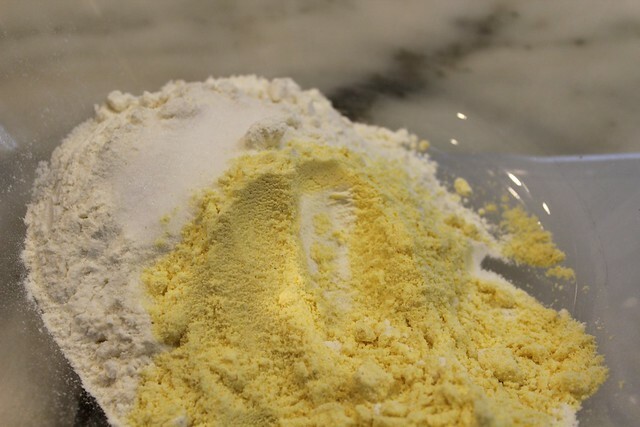 it is lovely to look at, but for rolling out pastry dough….well, you can imagine. My marble counter top did much better, as did a traditional rolling pin. The tarts came out of the oven smelling wonderful. 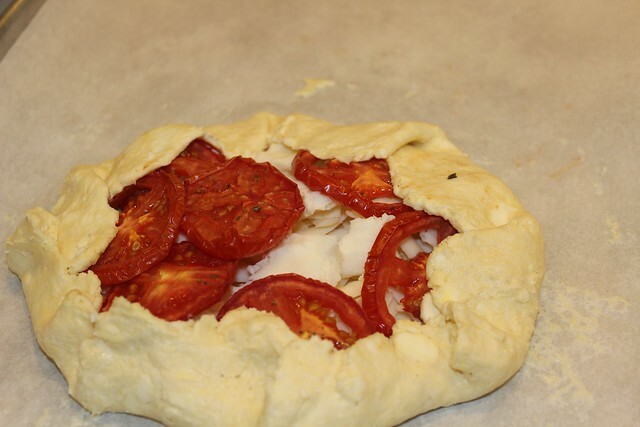 The dough was crispy….especially on the bottom, and the cheese and tomatoes were delicious. I ate it with a big salad of mixed greens. A glass of red wine would have been lovely. Dorothy even ate a good portion of this. And if that doesn’t tell you what you need to know about this recipe, then I don’t know what will. It was Good! I enjoyed the other galette as two lunches later in the week. The book says that its best eaten on the day it is made, but I didn’t really feel like any quality had been lost in the fridge or toaster oven re-heat. Take a look at other tasty examples of this recipe at Tuesdays With Dorie, I’m sure other bakers had a good time baking this one! divide dough in half and wrap disks in plastic. store in fridge for at least 2 hours. 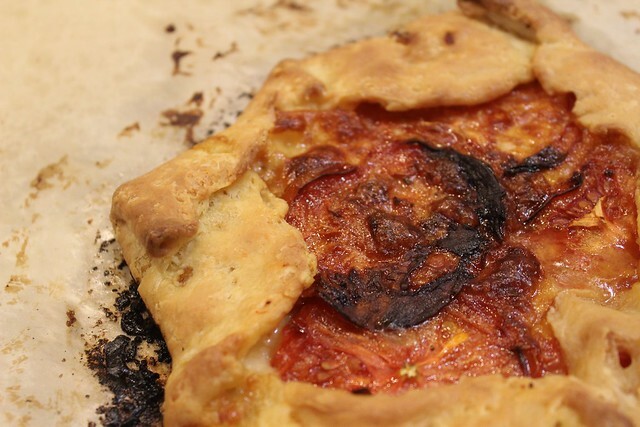 This entry was posted in baking with julia, pie, tuesdays with dorie, vegetarian and tagged Baking with Julia, galette, pie, Tuesdays with Dorie by bakewithamy. Bookmark the permalink. Yum. I’m going to have to try roasted tomatoes next time. 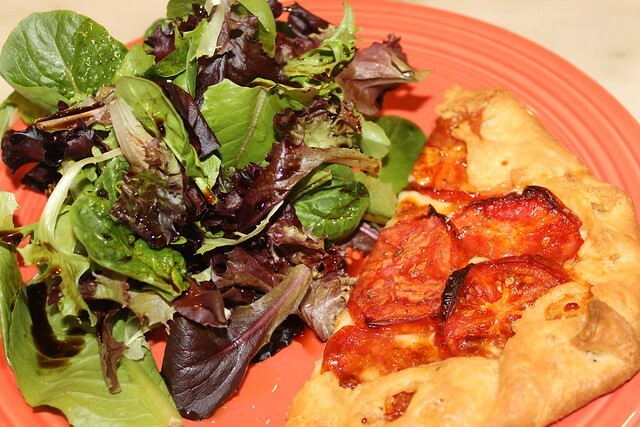 Your galette looks fabulous! I was thinking of roasting the tomatoes, now I wish I had! I really liked this recipe too. It was pretty simple and made for such a beautiful finished product. Definitely company worthy! !